The laundry floor is cleaned now too, ready for linseed oil. I'm so happy with the way the whole laundry has turned out! I forgot. The laundry room looks great!! 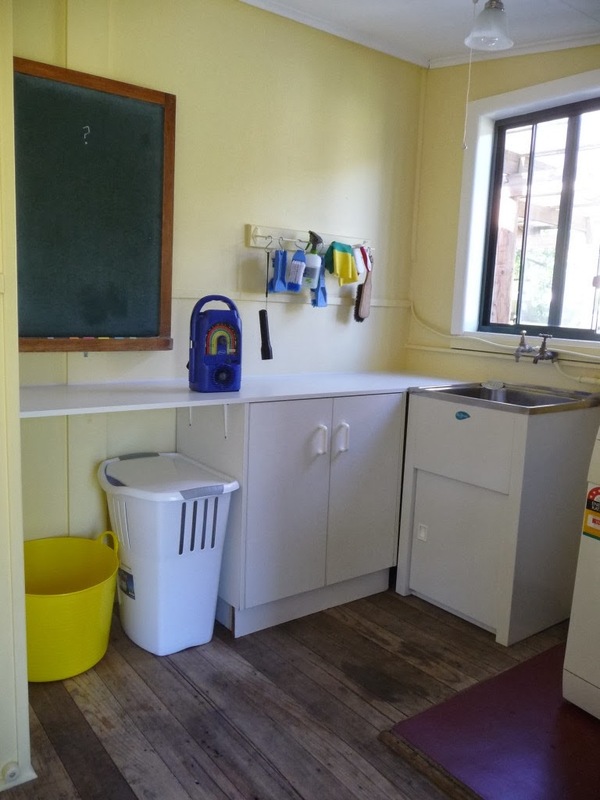 Loving the laundry room - that sunshiney yellow is beautiful!! your home is looking great, it is such a long journey & i know as ours nearly finished as well. its years in the making. love your floor and also the chalk board.